Want to try something new? This Tunisian Knit pillow is just the decorative accent you've been looking for. 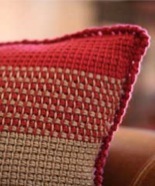 Our two-color combinations look neither knit nor crocheted but create an interesting weave pattern. 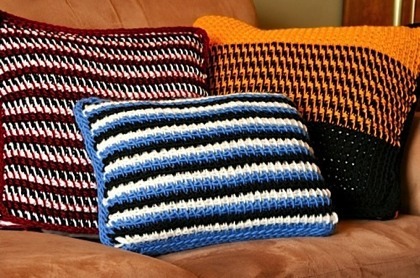 We've combined a variety of stripes and solids to create an interesting and unique pillow. Learn more about Tunisian Knitting below.